International parental child abduction... an act that society and even our judicial system will frequently look at as something that needs to be worked out within the family and this common misconception that parental abductions are a family matter has to end. Parental child abduction is a criminal act that can involve the physical, emotional and psychological abuse of a child. A child that tragically becomes a victim of a parental kidnapping suffers both short-term and long-term psychological effects, even if the child is reunited with their other parent. An abducting parent can use their child as an instrument of REVENGE! Should this concern us as a society? Most defiinitely! 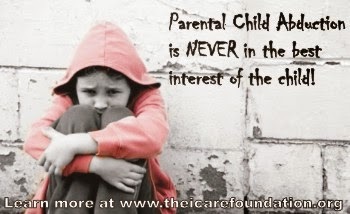 According to a statement released by the FBI, there is a disturbing trend coming from non-custodial parents, which is not only the rate at which we are seeing parental abductions occurring, but the fact that these parents are threatening to harm their own children all with the intent of revenge against the other parent who most likely has been given legal custody. 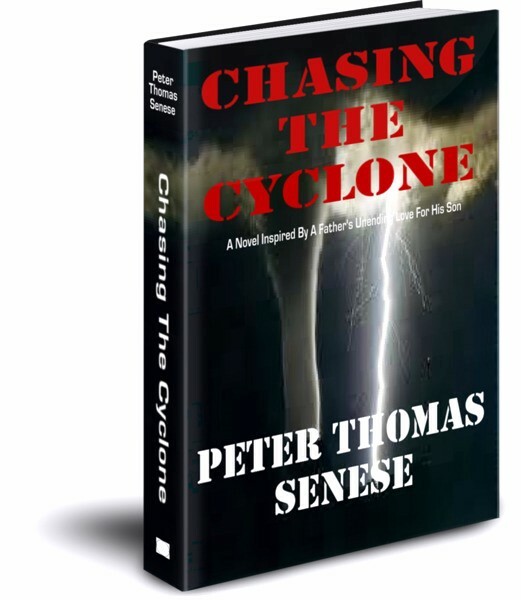 The fact is that with the large number of American children being born to unwed parents today, along with the high rate of marriages ending in divorce, the reality is that there is an increasing number of cases where a single parent is going to have custody of the child. The FBI’s statistics show that between the years 2010 and 2012 there was an increase of 41% in child abduction cases that involved custody matters. So if we add that to the increased number of those parents seeking retaliation through harming their own child – again, do we need to be concerned? – you bet we do! These facts all support what the I CARE Foundation has been saying for some time: Children that are parentally abducted are being murdered. So, as parents, what can you do to prevent international parental child abduction? Well, here is where it is important to share that we are entering the Christmas holiday season, which is the time of year where we see a dramatic increase in the number of international parental child abduction cases, particularly the week following the holiday. It is imperative that parents are aware not only of the WARNING SIGNS of international parental child abduction, but also know what to do if there is an international parental child abduction is in progress. Those families that need to be extra vigilant this holiday season would be those that are considered to be high-risk for international abduction. This would include those that are in a high-conflict situation… divorce or separation with child custody issues… particularly with couples that are in a cross-cultural relationship (parents born in two different countries). As well, those in a relationship where one parent has strong ties to another country and may have limited assets where they are currently living with the child and the child’s other parent. If you happen to be one of those high-risk families – again, one that is involved in a child custody dispute, separation or divorce, especially if your partner has ties abroad – you must be proactive in protecting your children. Often, parents that are involved in international child custody disputes and who may be targeted for abduction think that their child is best protected from abduction when there is a court agreement in place for the child to return if the other parent is granted travel. 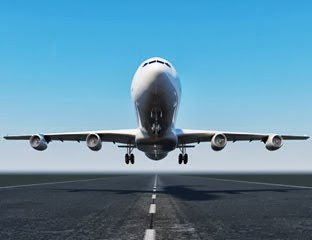 The truth is that unless there is an international travel consent form that has immediate ramifications attached to it, the parent and child targeted for abduction are at serious risk. The I CARE Foundation’s International Travel Child Consent Form can help protect a parent and child in this type of situation. Currently, to the best of our knowledge, every child that has traveled under the protection of the travel consent form has returned home to their country of origin. 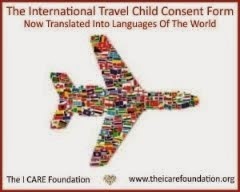 With approximately 70% of all international child abduction cases revolving around wrongful retention, which is the focus of the International Travel Child Consent Form, if parents and the legal community are aware and utilizing this document, it can make a tremendous impact in the area of abduction prevention on a worldwide scale… the fact is, it already has. The WARNING SIGNS of international parental child abduction are evident in the majority of parental child abduction cases, but many times the targeted parent doesn’t see them until it is too late. As shared earlier, we see a dramatic increase in the number of international parental child abduction cases during the Christmas holidays as many times the would-be-abductor uses a family vacation for the holidays as a guise for their elaborate scheme to abduct the child from their country of origin. Planning a family vacation could, in essence, show their partner that they are willing to work on their relationship despite any issues that may have happened in the past. This is part of the life of deceit that a would-be-abducting parent lives… all while scheming how to get their child abroad. A common scenario might go something like this: The would-be-abducting parent tells his/her partner that they would like to plan a trip to a foreign country… perhaps their country of origin… maybe to visit a sibling or parents over the holiday season. Once the family arrives in the foreign country, the abducting parent might file false allegations of abuse and neglect against the other parent and then notify the other parent that they and the child will not be returning back to the country of original jurisdiction. At this point, the targeted parent, who didn’t suspect any of this, is generally forced to return back home without their child where they then need to seek legal assistance. 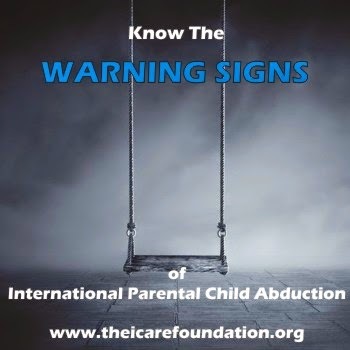 Being aware of the warning signs could realistically help protect you and your child from the cruel and unforgivable world of international child abduction… a world that no parent or child should ever have to be exposed to. Please click on the image below to be taken to the official website for the I CARE Foundation where you can learn more about the warning signs and what you should look for. There are two critical programs available to U.S. parent citizens that may aid in the prevention of their U.S. child citizen from being internationally abducted. Children’s Passport Issuance Alert Program (CPIAP): one of the Department of State’s most important tools for preventing international parental child abduction. Parents are able to register their U.S. citizen children under the age of 18 in the Passport Lookout System. If at some point a passport application is submitted for a child that is registered in the CPIAP, the Department of State contacts and alerts the parent(s). This system provides the parent(s) with advance warning of possible plans for international travel with the child. Prevent Departure Program (PDP): In the past, American parents at risk of having a child illegally removed from the United States had to deal with the reality that it was extremely difficult to stop an international child abduction if the other parent possessed a right of American citizenship (sole or dual citizenship). Part of the problem is that the United States has limited exit controls and government published information regarding programs that could be utilized to stop international parental child abduction such as the Prevent Departure Program require a suspected international parental child abductor to not have a right of American Citizenship, among a host of other requirements. Today, parents who are at risk of having a child internationally abducted by a parent who possesses citizenship to the United States or who has dual citizenship may be able to protect their children from abduction. If you should happen to be an at-risk parent that believes your child’s other parent is planning or is in the process of an international parental abduction, please contact the United States Department of State’s Office of Children’s Issues Abduction Prevention Bureau to discuss potential measures that may be available to you to ensure the individual parent suspected of an international child abduction threat does not illegally depart the United States and remove your child in violation of a court order or in breach of your right of custody. Please educate yourself about the WARNING SIGNS of international parental child abduction. It not only protects your children but perhaps other children you might know. 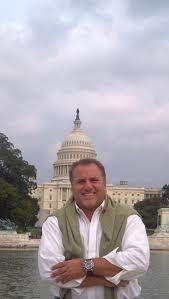 The fact is, we are all three degrees of separation away from knowing someone affected by parental child abduction. And remember that parental child abduction is not a custody battle, it is a crime, and one that has long term effects on all who have to experience it!! If your child is being allowed or required by court order to travel to a foreign country, please strongly consider having the other parent sign the International Travel Child Consent Form. Should that parent not be willing to, this is a very serious WARNING SIGN that they may be planning an abduction. 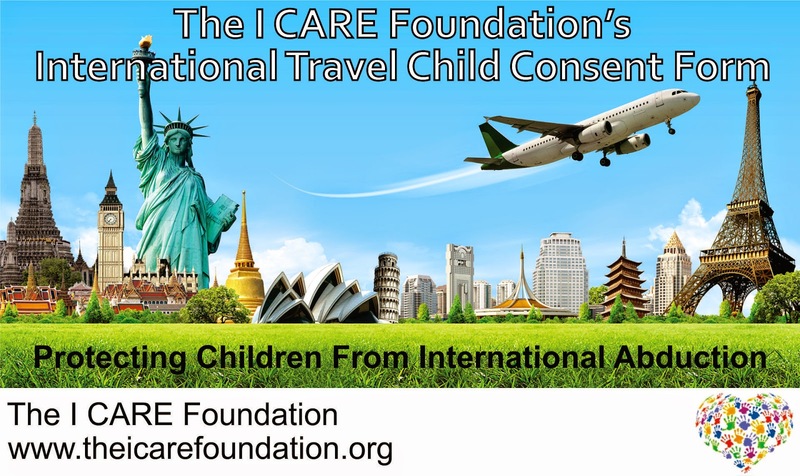 To learn more about the criminal act of international parental child abduction, or to DOWNLOAD a free copy of the International Travel Child Consent Form, which is currently available in 20 different languages, please visit the I CARE Foundation website. If you suspect an international parental child abduction is imminent or if one is in progress, CLICK HERE. All of us at the I CARE Foundation would like to wish you the best of the holiday season!